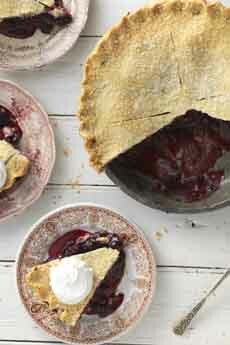  An elegant two-crust blueberry pie, with a sprinkle of decorating sugar (photo courtesy King Arthur Flour). 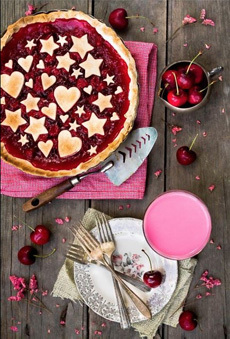 Cut-outs are an easy way to decorate a one-crust pie (photo courtesy American Pie Council). January 23rd is National Pie Day, a celebration for pie lovers everywhere. Few of us would pass up a piece of pie because it had a plain top crust. In fact, bring it here right now, and a cup of coffee, too. But if you’re a pastry artist like Lauren Ko of LoKo Kitchen, every pie top is a canvas, every pie an opportunity to create a new work of art. See her Instagram page for even more beauties. Consider then twelve pies below. Some have top crusts, some don’t. For two crust pies, lattice and cut-outs (photo #2) have long been popular. The top crust lends itself to all sorts of craft work. Some one-crust contenders, like chess pie, pecan pie and tarte Tatin, are already so sweet that a counterpoint of crème fraîche, slightly sweetened sour cream or slightly sweetened/unsweetened whipped cream is a better choice. Others, like Bavarian cream pie, black bottom pie and nesselrode pie, already have too much going on up top. It’s possible that the right artist can envision further embellishment of a cream or meringue topping (lemon meringue pie, Mississippi mud pie). We leave that up to you. CHECK OUT THE DIFFERENT TYPES OF PIES IN OUR PIE GLOSSARY. 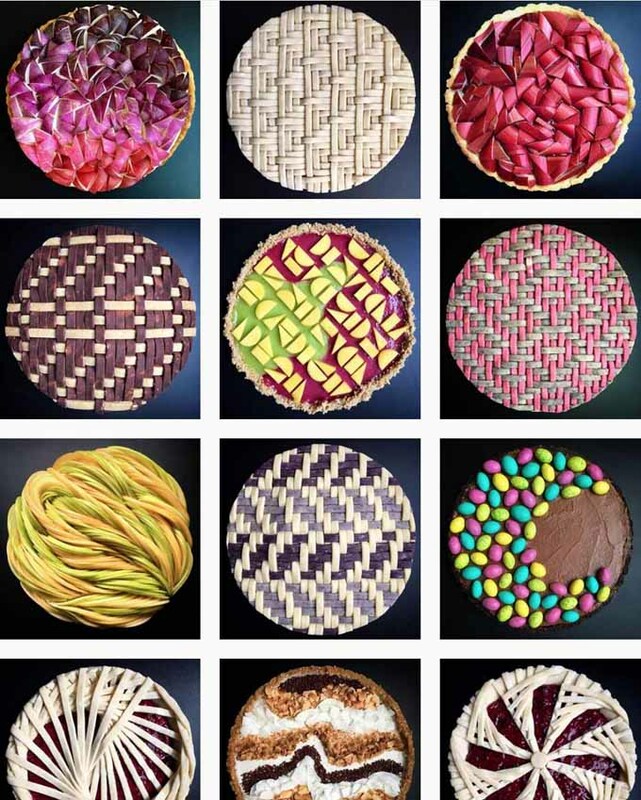 Twelve beautiful pie tops by Lauren Ko, @LokoKitchen.